If you’re serious about embroidery, you’ll appreciate having a dedicated embroidery machine. 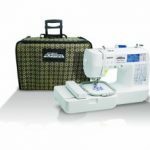 While neither of these Brother machines can hem pants for you, they can add all sorts of interesting decorations and monograms to your clothing and other items. Let’s take a closer look at them both to see which will be the best for you. Getting started making embroidery projects doesn’t have to be expensive. The Brother PE525 is proof of that. It comes ready to use with 5 font styles for monogramming and lettering, 70 built-in designs, and 120 frame patterns. You can add new designs to the machine with the help of your computer, including ones from iBroidery.com. Use the backlit LCD touchscreen to view patterns and designs. You can rotate a design 10 degrees or 90 degrees. Any other editing you’ll probably have to perform on your computer with software. 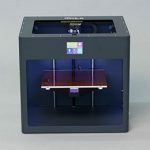 Once you’ve chosen what you want to make, the PE525 is easy to set up. 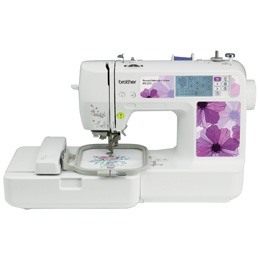 It has an automatic needle threader and bobbin winding system. The bobbin is made to drop-in from the top and it’s resistant to jams. Even better, the machine has a bobbin thread and upper thread sensor so you’ll know if you’re running low before you run out. 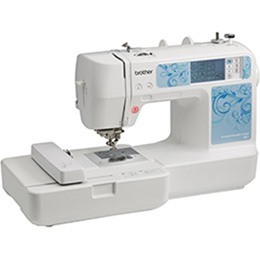 The PE525 has a 4 by 4-inch embroidery area and comes with a rectangular hoop. The LED light above the needle helps you see what the machine is sewing. It works at speeds up to 400 stitches per minute. When you’re done, there’s no automatic thread cutter, but you can snip loose your project yourself. Like the PE525, the Brother HE-1 is simple to learn and use. 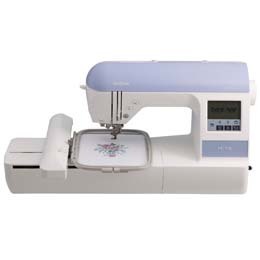 It’s made for embroidery only and it has almost exactly the same features as the other machine. The main difference between them is that the HE-1 gives you the ability to edit patterns on-screen. 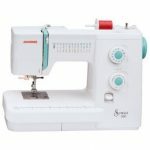 It also has a few other very handy features that the PE525 doesn’t have, like automated upper and lower thread cutting and and independent bobbin winding motor. Besides all that, the HE-1 has a quick-set bobbin and thread sensors for it as well as the upper thread. This is important because you have no way of seeing the bobbin’s status while you’re embroidering at 400 stitches per minute. The sensors protect you from abruptly running out of thread in the middle of a design. With the independent bobbin winding motor you can prep a new bobbin while you’re working on your project instead of having to re-thread it all over again. The HE-1 comes with 70 built-in designs that include 5 lettering fonts. You can also update the machine with new patterns from iBroidery.com. Of course, you’ll need to use a computer for this process and for updating the firmware on the HE-1 if needed. Users have commented that it’s easier to use a Windows PC than a Mac because of the software. If you have questions about using the HE-1, Brother has free customer support for the lifetime of the machine. There is a tutorial and help file programmed into the machine that you can view on the LCD screen. The instruction manual comes in both English and Spanish. 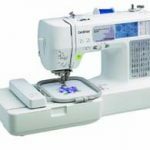 Both of these Brother embroidery machines are made for beginners. Their work areas measure 4 by 4 inches and they come with a limited selection of built-in designs, fonts, and patterns. Your ability to edit these patterns on the machine is either non-existent (on the PE525) or limited (on the HE-1). But if you want to start embroidering and monogramming clothing, accessories, gifts, and home decorations, they are an inexpensive way to do all that. Plus, you can add new patterns if you use a computer to download from iBroidery.com. The PE525 is a bit more limited in features than the HE-1. If you don’t care about on-screen editing or automatic thread-cutting, get the PE525. 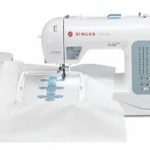 If you want to do a little bit of on-screen editing, plus you like automatic thread cutting and having an independent bobbin winder, get the HE-1. 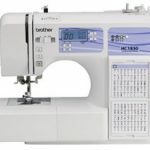 Click here to purchase Brother PE525 on Amazon.com! Click here to purchase Brother HE-1 on Amazon.com!